Apart from trying to retire, still working and slowly putting the finishing touches to our now launched Mystery, I do when time permits like to race on a Wednesday night especially if the breeze is up. 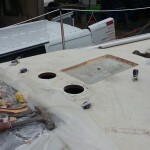 In May of last year young Mark purchased an Albin Express from the Clyde which had never been raced. 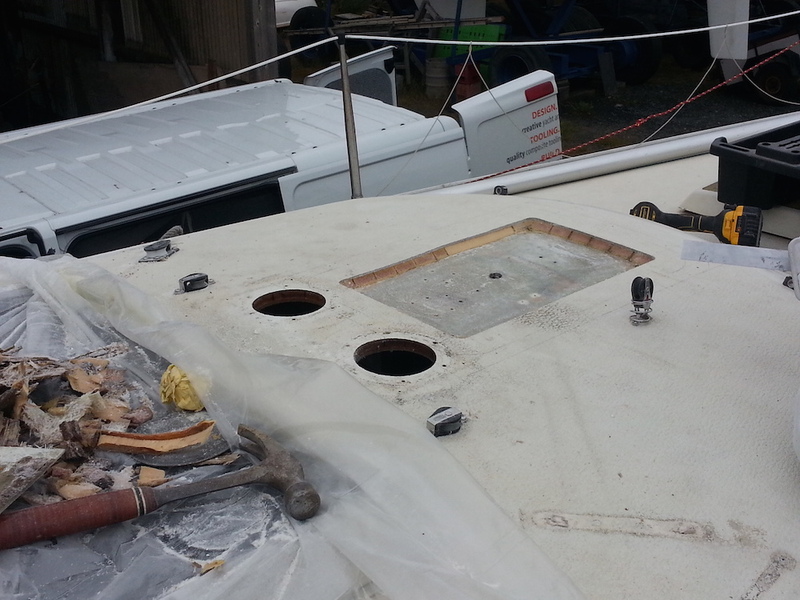 Out went the Plastimo reefing drum and foils as well as all of the cruising paraphernalia and, this past winter, we stripped off about 8mm of antifouling as well as grinding all the rust from the keel and attempted to fair it over the cold winter months. 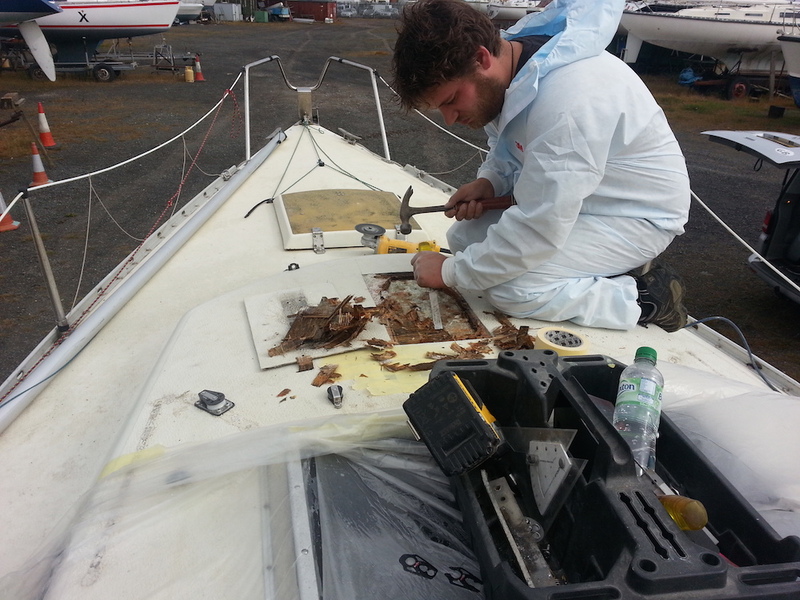 Skipper Mark is very keen, but as his racing experience is limited he is on a steep learning curve but learning fast. 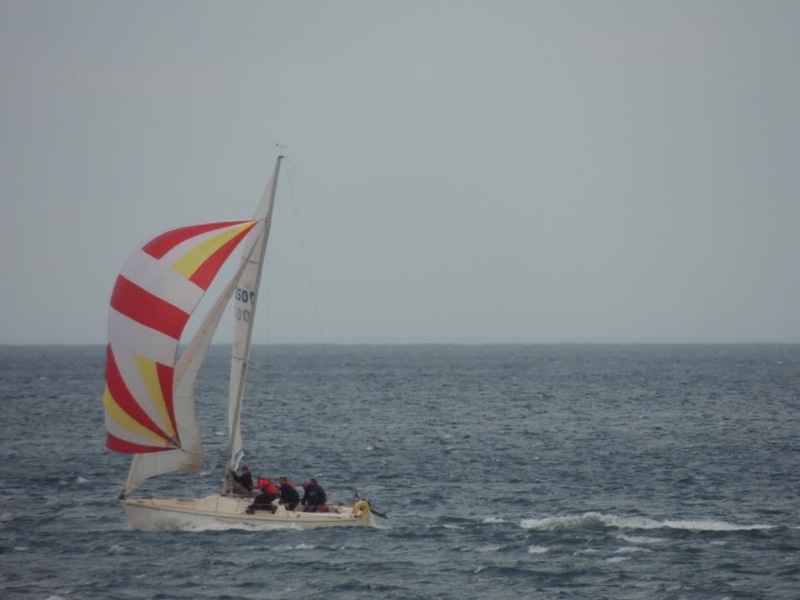 We have, this season, managed to grab a couple of firsts which is great considering the rest of the crew (with the exception of Commodore Tony) are also relatively new to racing. We are changing systems, now we can winch the genoa whilst the weight is to windward, the main traveller works and we finally have a jib and main cunningham that also can be controlled from the rail. 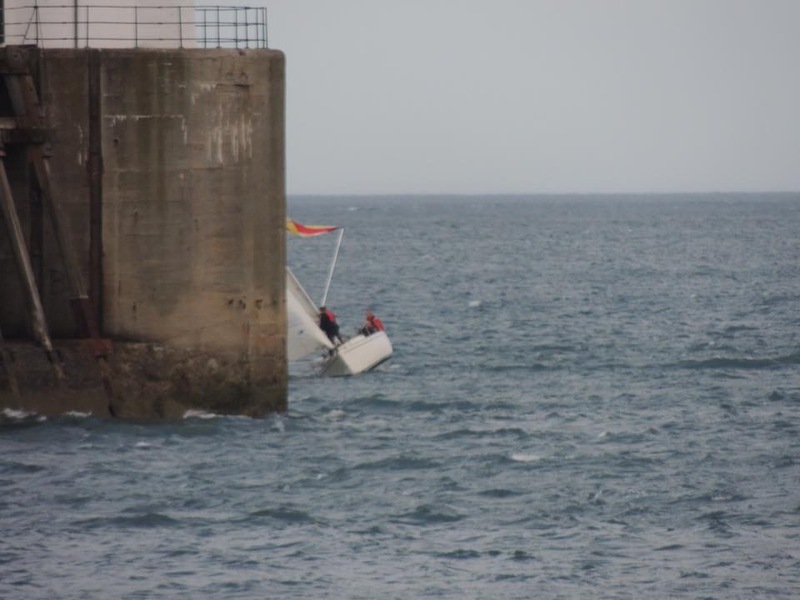 Next for treatment was to get both the boom outhaul and the backstay sorted! 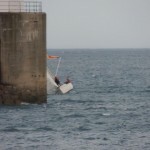 The other day, after a fairly hairy ride, (as seen above) I did notice that the rigging had gone slack (when we returned to shore,changed our underpants and put the boat to bed) as the mast had started to sink down into the deck. As the no doubt hotly contested championships were looming, Mark was coaxed in to having her lifted, mast removed and the deck in the area of the mast step opened up. Looks like the culprit, apart from a rather hairy broach, had been a previous owners method of putting electrical cables through the deck; drill the hole and don’t bother to properly seal end grain if its a wood or foam core! Sp Eposeal is excellent as a deep penetrating sealer as is either SP106 or West System 105. Should you find it impossible to dry out completely your damp wood, assuming its not completely rotted, use G/flex epoxy from West System; its also great for repairs and bonding difficult to glue plastics. When bolting fittings onto glassfibre, first drill the correct size hole and then use a countersink; this then gives us a greater surface area for applying sealant. 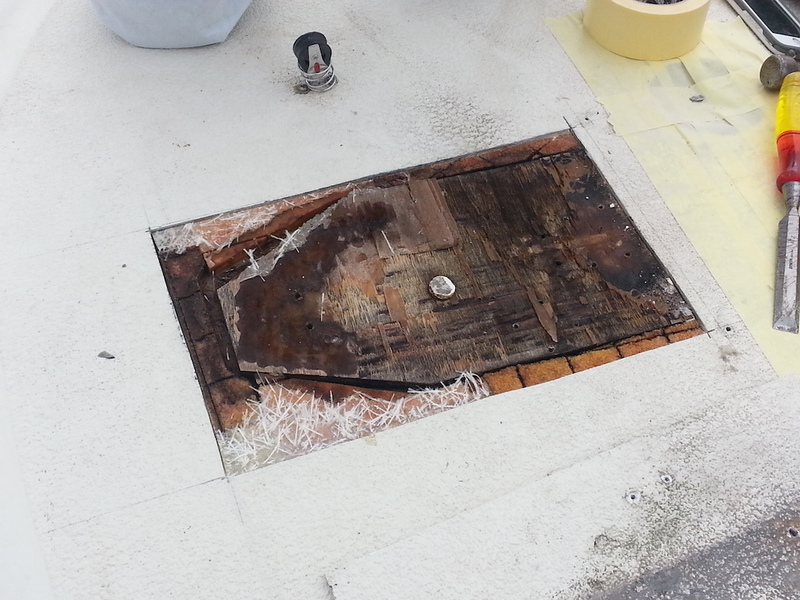 The result... no leaks and no issues five years down the line! For an adhesive/sealant I like either Sabatack XL (good range of colours inc Mahogany and Teak) or Sikaflex 291i available in black or white. If only a sealant is required, Geocel 201 is a high performance flexible polymer sealant, the modern replacement for polysulphide. Available colours are black, white, grey and teak. 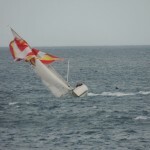 This entry was posted in General Interest, Safety, Products in the spotlight, Top Tips Tuesdays, Repairs, Maintenance, Rigging, Cruising, Life Onboard on August 30, 2016 by Rob Storrar. 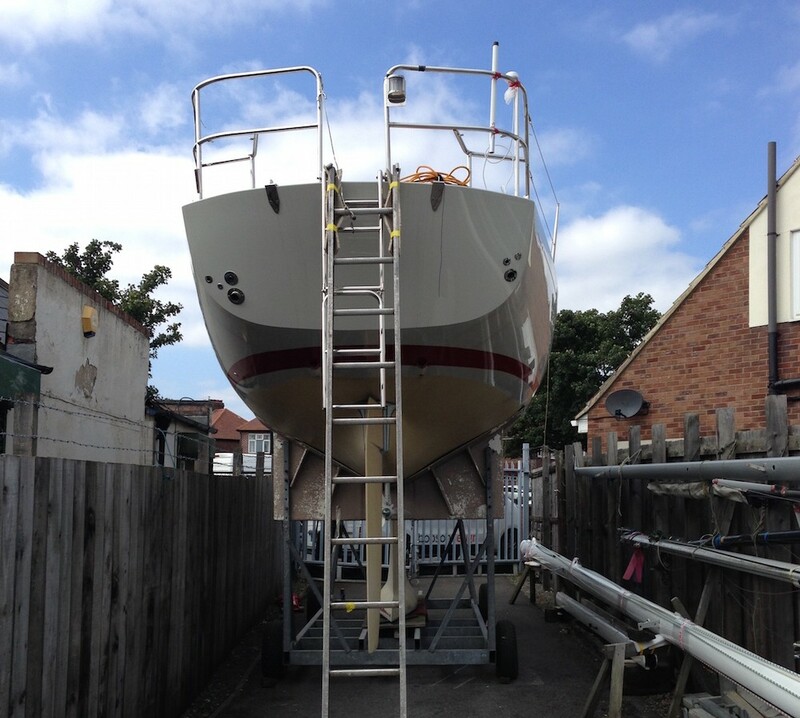 As you may be aware for the last six years of my spare time I have been fitting out the hull and deck of a Mystery 35, regular readers of my ramblings will of course know that it should have been launched three years ago, well last week it finally hit the water and when I checked last night was still floating! The hull and deck of Hindsight was delivered with engine in situ as well as the fuel tank which we later discovered was under the cockpit sole. Whilst it was possible to install these with deck already in place it would have been fairly tricky so I let the experts do it! 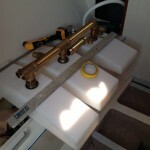 As a dinghy sailor for most of my life I have always been conscious of keeping weight amidships so my cunning plan was to use the space under the cabin sole for my day to day fuel consumption by installing three smaller interconnecting tanks (see the before installation dry run images) and for longer passages use the factory fitted as the backup, incidentaly both systems have separate primary filters. 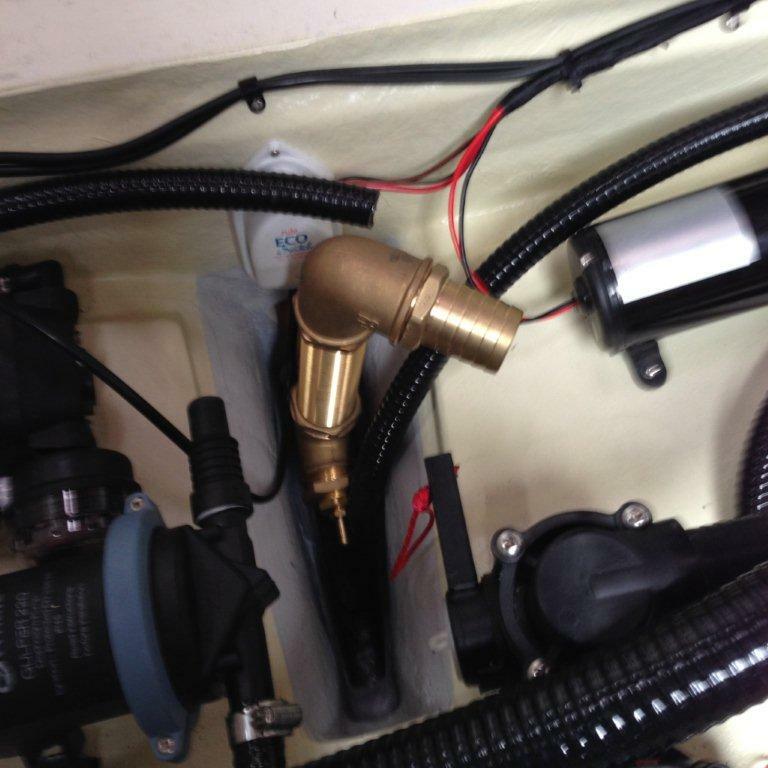 Two weeks ago we finally finished the fuel plumbing and with Hindsight on dry land and a water feed to the engine, turned the key and yes she started first time. Fairly impressive I thought for an engine fitted six years ago and only turned over by hand every three months. It ran perfectly on the new tank(s) however when we turned the valve to the factory fitted one, which just had 25 litres of fuel added, the engine spluttered and died! Tried starting her again and discovered the primary filter full of water and the source of that water? Methinks that me, muggins hadn't had the intelligence to check that the fuel filler cap was screwed firmly closed when she was delivered some six years ago! We pumped out over 35 litres of contaminated fuel and then to save it being thrown away purged the diesel of water by passing it through one of those excellent MR. FUNNEL portable fuel filters, incidentally in the instructions for their use they do state that you 'test by adding water to cover the bottom 1/3rd of the filter. Water should not pass through'. As for the diesel that we purged of water, it was poured into the fuel tank of the works van and a week and a half later its still running well! One more essential item to add to the Hindsight shopping list is a Mr Funnel! Mr Funnel from Storrar Marine Chandlery on Vimeo. This entry was posted in General Interest, Top Tips Tuesdays, Maintenance, Cruising, Life Onboard on August 23, 2016 by Rob Storrar. Hopefully, if all goes to plan and the weather plays ball, Jenny & I will be launching Hindsight our ‘home’ completed Mystery 35 this Thursday. If you don’t know the Mystery, she was designed by Stephen Jones, has a traditional look to her 35ft overall length but is only 24ft 9inches on the waterline with a 9ft 11 beam, a lead keel and they sail like a dream! Dragged kicking and screaming into the 21st century we have been talked into installing a Raymarine chart plotter, however to keep the ‘traditional look’ its tucked away below deck. Above deck we are using our trusty iPad which we will (with a little help from techy Andy) use to repeat the navigational information. 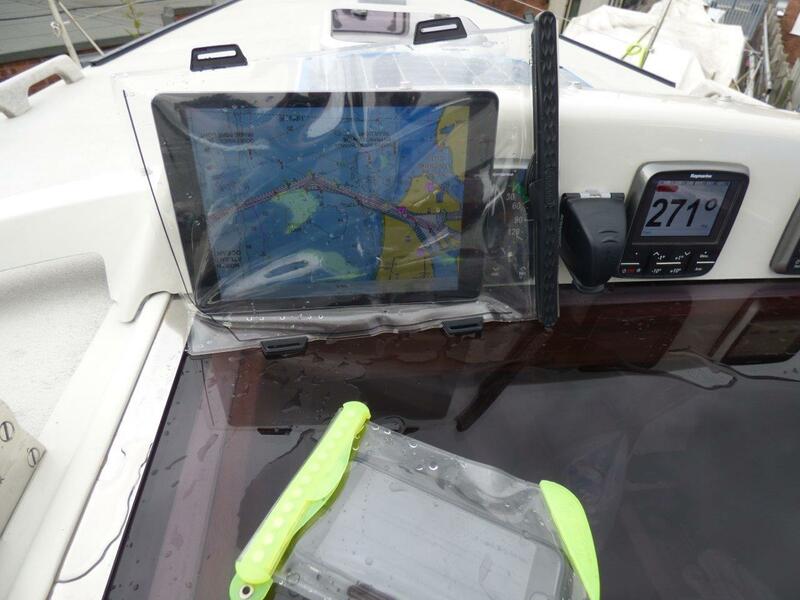 During rough weather, or on a rainy day, the iPad will be snug as a bug in a rug in a gooper AUTOMATIC SELF SEALING BAG. The seal is a foolproof and fumble-free automatic closure which ensures a waterproof seal every time, so no need to take gloves off to insert your device. The gooper is as I said before automatic self sealing, its waterproof to 30 metres, and of course keypad and touch screen usable. gooper is also credit card safe, video & camera usable. Phones are fully functional through the bag allowing for voice and audio without the need for a headphone or audio jack. gooper comes in two sizes, the smartphone case has internal dimensions of 10.5 x 15.5cm and the tablet version is 22.6 x 30cm. Please note that you should keep at least 7cm away from pacemakers and/or a standard compass. 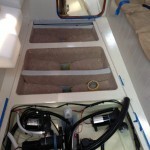 This entry was posted in Electronics, General Interest, New Products, Top Tips Tuesdays, Crew Gear, Cruising, Gift Ideas, Life Onboard and tagged Scanstrut, Gooper Waterproof Cases, Dry Bags, Tech, Waterproof Charger, USB Charger on August 16, 2016 by Rob Storrar. 125. 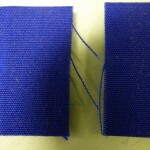 Top Tips Tuesday - Cynical Rob 'discovers' a wonder repair product! Cynical Rob, as I was known throughout the marine trade by those poor sales guys who used to come knocking at the chandlery door when I was working full time. Now that I am semi-retired and working part time (only working five days this week, can you hear the violins playing?) and nowadays spending the majority of my time in the sail loft, Andy is the bloke they have to convince that their latest offering is the best thing since sliced bread. 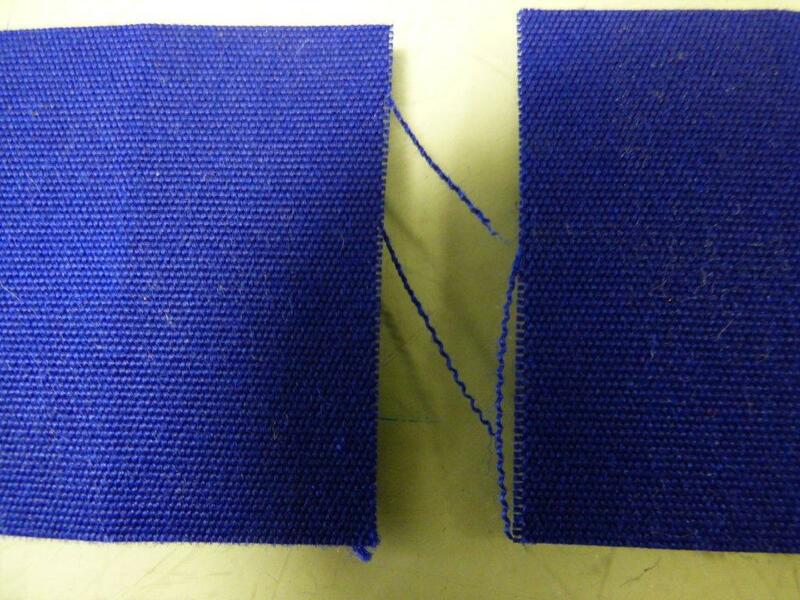 However, the other day, as I was trying to source a particular type of large zip to sew into a stack pack for a fifty footer, I came across a product called Tear-Aid which seemed to be the perfect repair material for a permanent fix for all kinds of materials, unless of course you have access to an onboard sewing machine and spare matching fabric! 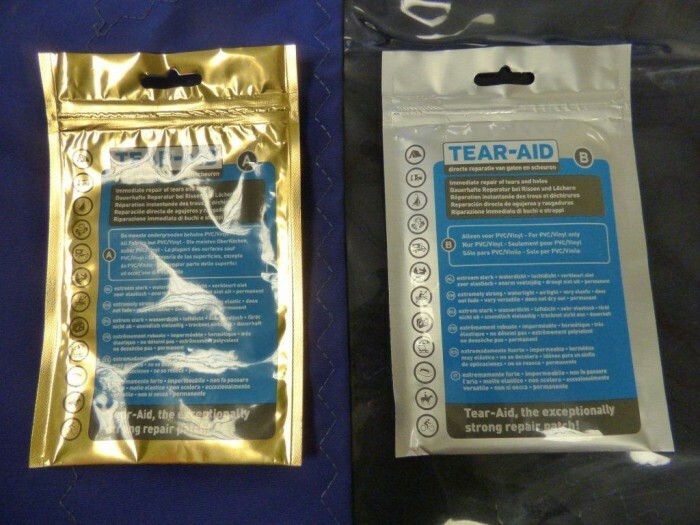 I e-mailed the distributors in Holland and three days later a selection of materials that had been 'repaired' with Tear Aid arrived, now even I was impressed! 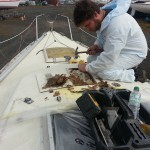 Tear-Aid type A repairs acrylic spray hoods, biminis, polyester and dacron sails, hard to repair spinnakers, foul weather gear, hypalon inflatable tenders ie Avon, fabric holdalls and sailbags, dry suits, wetsuits etc etc. 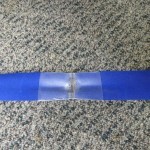 Type B is just as strong (needs 24 hours to develop max strength) it's perfect for repairing split spray hood and cockpit enclosure windows, will successfully repair PVC dinghies such as Seago and Waveline, vinyl cockpit and below deck vinyl seats and pvc boat covers, vinyl inflatable canoes as well as inflatable water toys to name but a few. Both Tear Aid A & B are a great addition to your tool box and the even better news is that they have an unlimited shelf life! 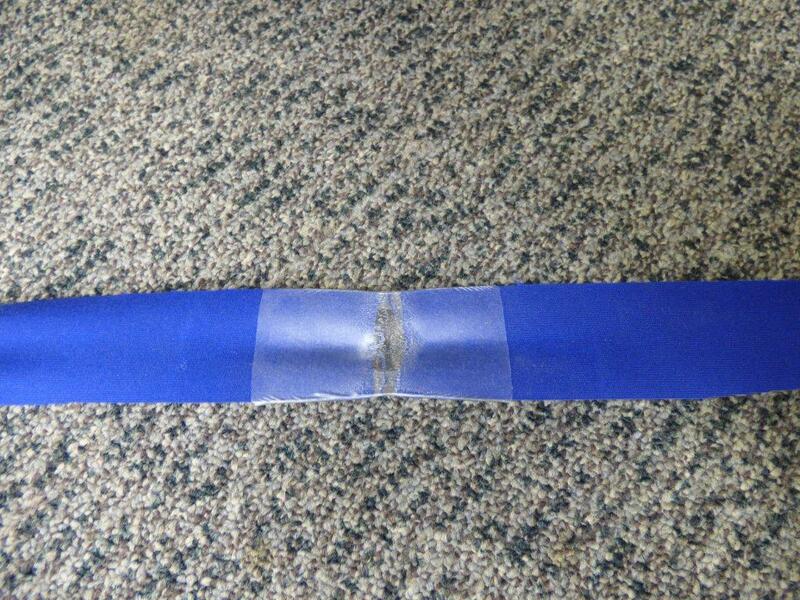 Perfect for hard to repair acrylic, still holding after 20kg force! 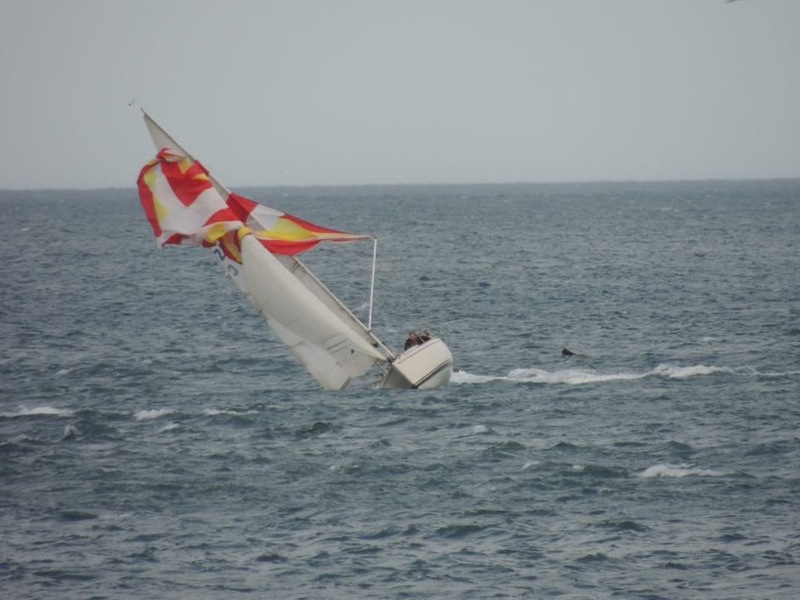 This entry was posted in General Interest, New Products, Sails, Products in the spotlight, Top Tips Tuesdays, Repairs, Maintenance, Life Onboard on August 9, 2016 by Rob Storrar. 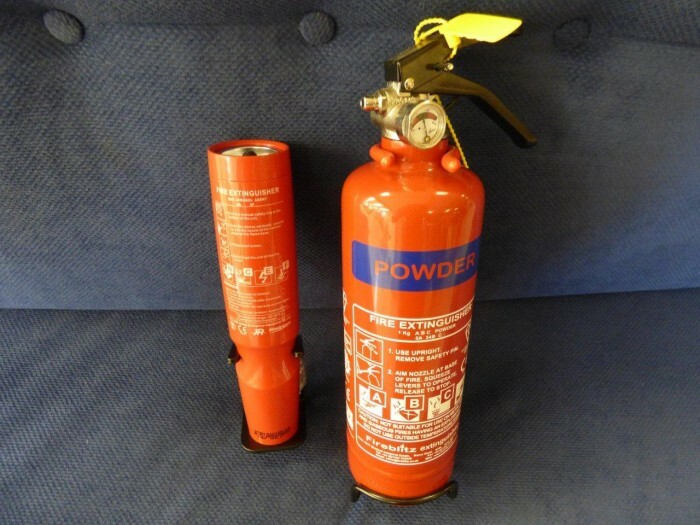 A couple of years ago one of our wholesale suppliers told us about a very compact, extremely efficient fire extinguisher that can be used with great effect on class B,C,E and F fires. 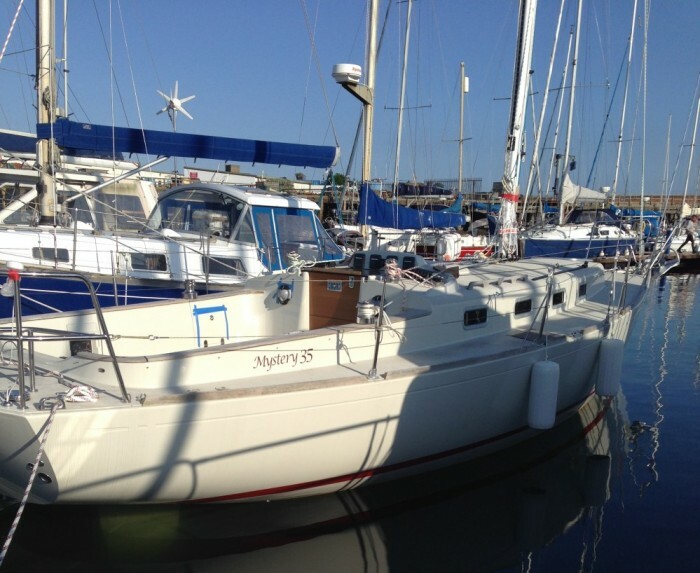 As regular readers of my blogs will know, for the last six years I have been fitting out my Mystery 35. As my first launch date, the 16th of June, was rapidly approaching I thought that it was about time I fitted some fire fighting equipment such as a fire blanket in the galley, auto fire extinguisher in the engine bay and a couple of portables, one to go forward and a second in the saloon. 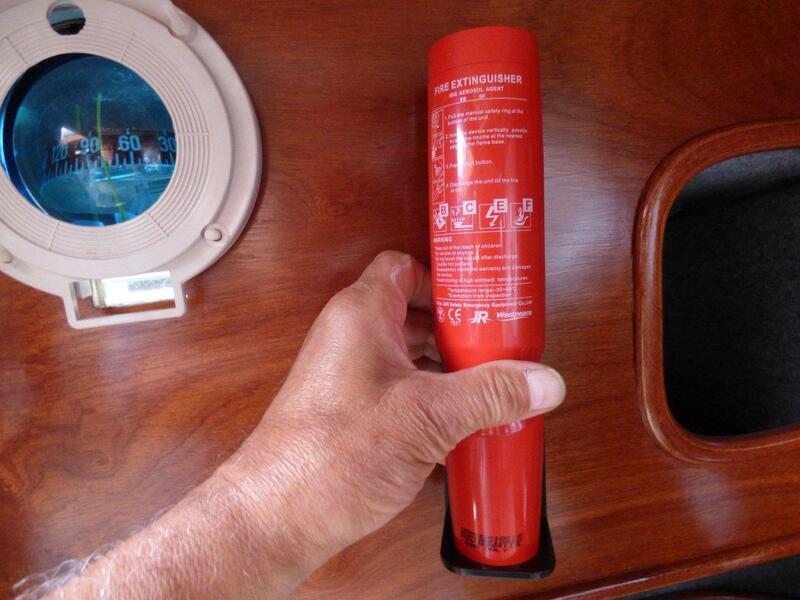 I was however mortified to discover that my source was no longer importing this particular make of extinguisher but as the launch date was put back again I never fitted any alternatives. Imagine my delight when the other day, through the post, came a leaflet informing me that we could once again be supplied with the Firetool portable fire extinguisher and the even better news is that in three months time I will be able to purchase an automatic version from the same manufacturer for my engine bay, surely Hindsight will be in the water by then! Firetool is the worlds most compact and versatile fire extinguisher, its suitable for just about every type of fire with no cleanup, they are environmentally friendly & non toxic and available in 500g, 810g and 1750g sizes. The JE50 (500gm model) has the equivalent fire fighting capability of a 1kg powder and if used on say a engine that is still running or a electrical switch panel it will not leave a corrosive legacy! Yes I was upset that the launch date slipped but delighted that because of the delay we didn’t fit a couple of powder! Watch the video below to see a demonstration of the effectiveness of the Firetool fire extinguishers in a test carried out by the Royal Dutch Navy. This entry was posted in General Interest, Safety, Products in the spotlight, Top Tips Tuesdays, Life Onboard on August 2, 2016 by Rob Storrar.